This rich and resource-filled workbook, previously only offered to clients, is now available for all! Looking for a meaningful, life-affirming, proven way to achieve boldly this year? Let the Bold Goals Planning + Tracking Workbook support you in designing and living your most positive, purposeful, accomplished year yet! Whether you already love goal-setting, would describe your relationship with goals as “It’s Complicated” with a frown emoji, or fall anywhere in between, I am glad you’re exploring this workbook! And I truly hope the process of setting purposeful Bold Goals transforms you in powerful, positive ways. It certainly has done that for me. This workbook is designed to help you start from the beginning: Dreaming, clarifying the big picture, envisioning possibilities. From there, you will decide – with the help of worksheets, questions to ask yourself, assessments, and additional exercises – how to prioritize your goals and ideas and choose your top ones, your Bold Goals, for the year (or the not-so-distant future). You’ll find suggestions right down to the details of how to word your goal in order to make it as positive, purposeful, and energizing as possible! 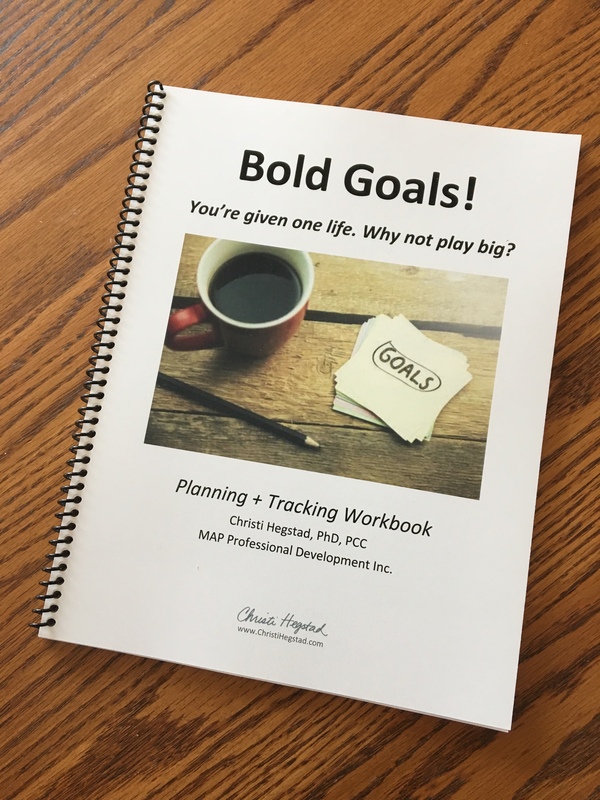 The second portion of the workbook is chock-full of the tools, templates, charts, mindset prompts, and everything else you need in order to stay on track with your Bold Goal – even if it will take you a year or more to achieve! At over 70 pages, this workbook offers the exact tools and resources I have used for years of setting and achieving Bold Goals and supporting my coaching clients and ASPIRE Success Club members in doing the same. Whether you aspire to grow your business, advance your career, set a longtime dream in motion, transform your health, deepen your relationships, improve your financial wellbeing, or elevate any other area of your life, the Bold Goals Planning + Tracking Workbook is here to help you set the stage for fulfilling and holistic success, and support you all along the way! 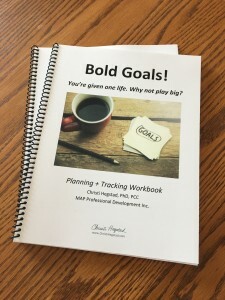 Upon receiving your Bold Goals Planning + Tracking Workbook (emailed to you in PDF format), you can then print and insert the pages in a special 3-ring binder, send it to your local print shop and have it bound, print out sheets here and there as you need them, or utilize it in the way that serves you best. Personally, I have a coil-bound copy that stays right near my desk with some of my other MIDs (Most Important Documents)! I encourage you to first review the workbook in the way it is presented, as it intentionally flows in an order to help you move from ‘big dreams and ideas’ to ‘solid Bold Goals’ to ‘YES! I achieved it!’ Beyond that, if you prefer a different order or choose to use some of the tools and not others, feel free! You will likely find your own ideas expanding and growing along the way with the resources and coaching questions provided in this workbook. Your workbook will be sent to the email address provided in your order form within one business day. I have created this workbook to support as many people as possible in achieving bold, purposeful, difference-making goals – the kind that make you jump out of bed excited to start your day and hit the pillow at night fulfilled and inspired. 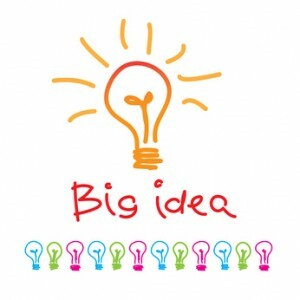 Consider incorporating coaching into your plans for an even more powerful experience! Here’s to the exciting, energizing, purposeful achievement of your Bold Goals!